Today I braved the beating down rain and walked to The Kitchen in Poole Park. Upon arrival, I could see people perched on benches by the trickling water as gentle raindrops patted on the waves. Although very melancholy, the view emitted a serenity that made me feel not only happy, but joyful to be greeted by the beauty of the boat lake before me. I could hear birds twittering in the trees accompanied a satisfying clunk as the heel of my boot tapped on the decking of the café entrance. Towering above me either side were huge plants swaying in the gentle breeze and drinking up the water from the skies. I had a good feeling about this interview. Upon entering the café itself my nostrils were filled with the scent of fresh pastries and sandwiches being cooked in the kitchen. Clusters of rustic light bulbs were hung from the ceiling creating a sense of warmth within the place that made me feel all fuzzy inside. Young ladies with smiles awaited me at the desk and gorgeous food such as white chocolate and raspberry brownies were screaming to be eaten from behind the glass. The room was fresh and buzzing with laughter, obviously a delightful place to eat by the sea. I was sat in a rattan armchair cushioned with warm coloured pillows. I could have sat curled up reading there all day. 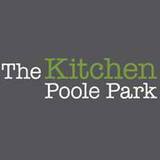 I strongly recommend that if you are ever in Poole and are looking for somewhere to stare at the sea and eat a yummy lunch, then go to The Kitchen at Poole Park. It is truly satisfying, in the most quaint and refreshing way.